J’ai rejoint le mouvement et vous? I’ve joined the movement, and you? Aissatou M’Baye, the Senegalese culinary blogger based in Paris, became an ambassador for Smart Food in 2017. 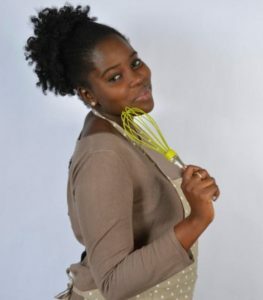 Using millets, sorghum and groundnut, Aissatou created five Smart Food recipes under her label ‘Aistou Cuisine’ and shared them through her social media channels. Her aim with the social media campaign was to reach women and men living in West Africa, but quickly her recipes became popular in Europe as well, especially in France. Once Aissatou decided to join hands with ICRISAT to help bring back millets into the mainstream, she started publishing her recipes and the nutritional benefits on the blog Aistou Cuisine. Soon after, the first Smart Food social media campaign was launched between 12 October and 27 December 2017. The campaign gained 4,73,222 views and attracted more than 8,00,000 comments. “The response was overwhelming. Many viewers wanted to know how they could obtain millets and sorghum in Europe. 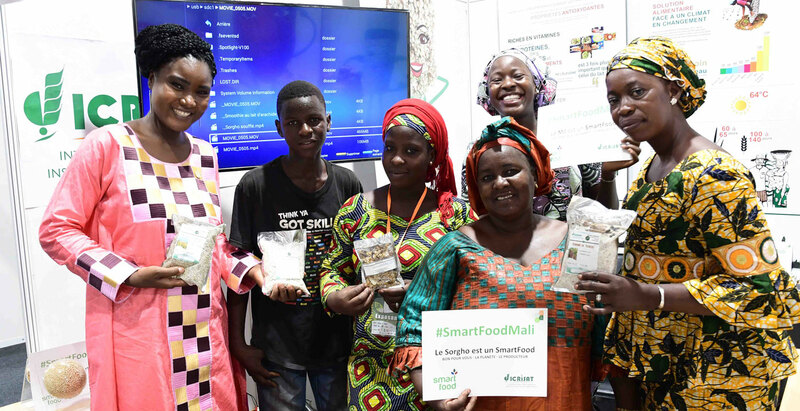 In West Africa, especially in Senegal and Mali, viewers were quite happy to learn new ways of cooking millets, ” adds Agathe Diama, Smart Food Co-ordinator, West and Central Africa. By December 2017, the video recipes registered 2,19,000 views with an estimated viewing time of 1,438 hours. The simple Sorgho Soufflé was a big hit attracting 70,000 views. “Although, the official social media campaign has ended, the interactions continue around the videos and articles published on the blog,” says Aissatou M’baye. “Millets and sorghum are rich in micronutrients and yet have been neglected from our diets for a long time and so it was necessary to think of new recipes to transform these Smart Food into a savory menu. We managed to create some cool recipes and at the same time communicate the benefits of Smart Food,” adds Aissatou. Often referred to as traditional and sometimes ‘old-fashioned’, cereals such as millets and sorghum have long suffered from unpopularity in the mainstream food culture. Yet these grains are endowed with immense potential to manage some of the planet’s major challenges such as poverty, malnutrition, diabetes, climate change and environmental degradation. In 2017, ICRISAT partnered with the culinary blogger to help spread the benefits of the forgotten coarse grains, now officially termed by the Government of India as ‘Nutri-Cereals’. Building on this success, several Smart Food initiatives are being planned to strengthen culinary research by working with research institutes including food and nutrition laboratories and Universities in Africa, Europe and the USA. Smart Food is being promoted in schools, for example, through school feeding programs and through health experts to enhance the awareness of mother and infant nutrition. At the grassroots level, it is important to sensitize communities on the importance of dietary diversity, nutritionally balanced diets and the health benefits of Smart Food. One way to achieve this effectively is by using innovative behavior change communication. “We will be using social media campaigns, Smart Food reality TV cooking shows and foster champions like Aissatou on Smart Food recipes,” says Agathe Diama as she calls for strong partnerships to improve nutrition in rural and urban areas of the Sahel. This work contributes to UN Sustainable Development Goal.